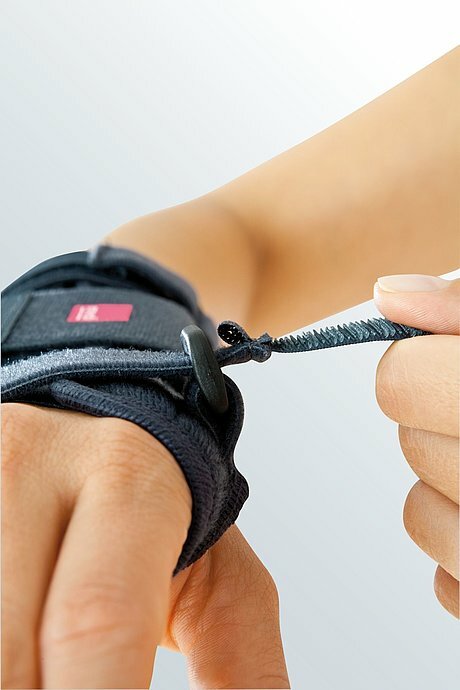 Manumed is a wrist support. 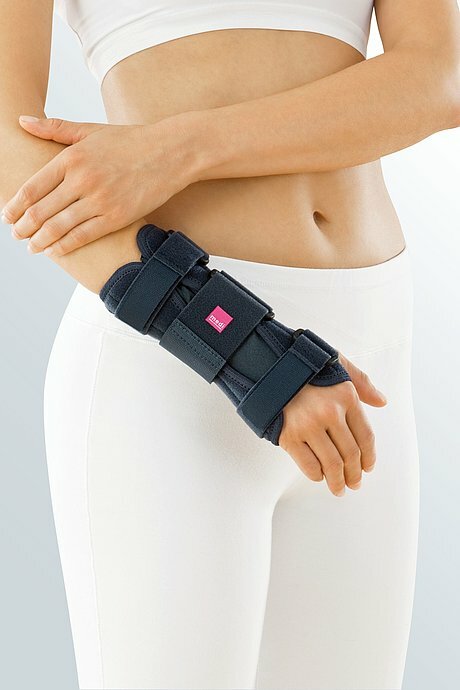 The product is exclusively to be used for the orthotic fitting of the wrist and only on intact skin. 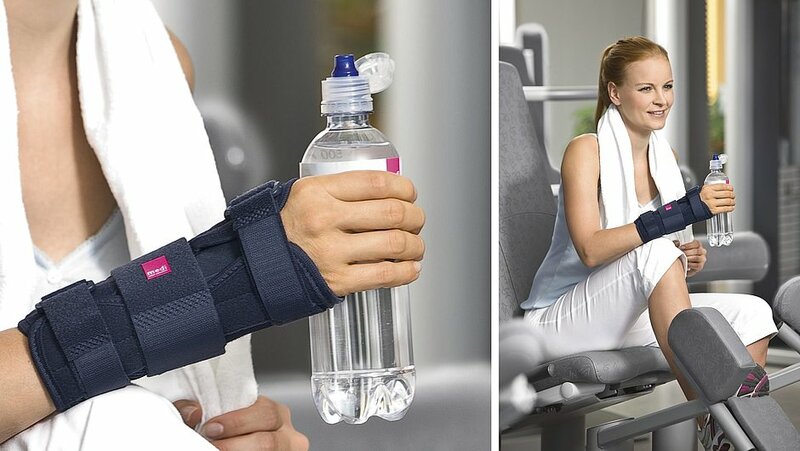 Immobilisation and stabilisation of the wrist with volar aluminium support. 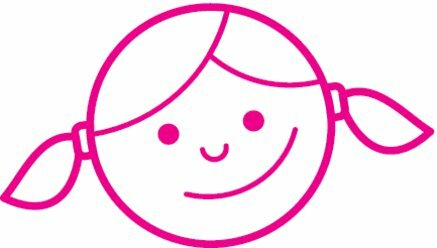 The initial fitting should be supervised by a healthcare professional. 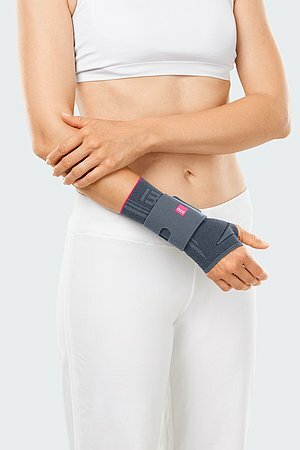 The pre-shaped aluminium splint can be removed and easily moulded to match different wrist contours. First close the front strap and then the back strap. Now close the broad central strap. 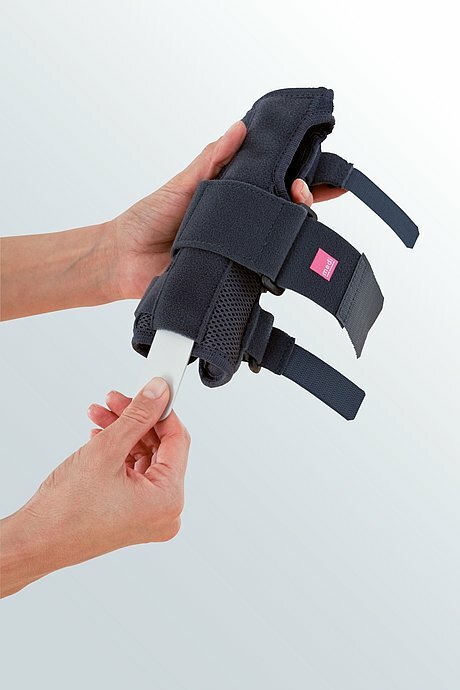 This strap is attached to the underside of the support by hook and loop fastener and can be moved before fastening if necessary. 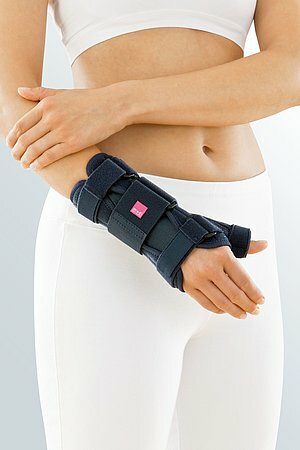 Only wearing the Manumed consistently will support the therapy. 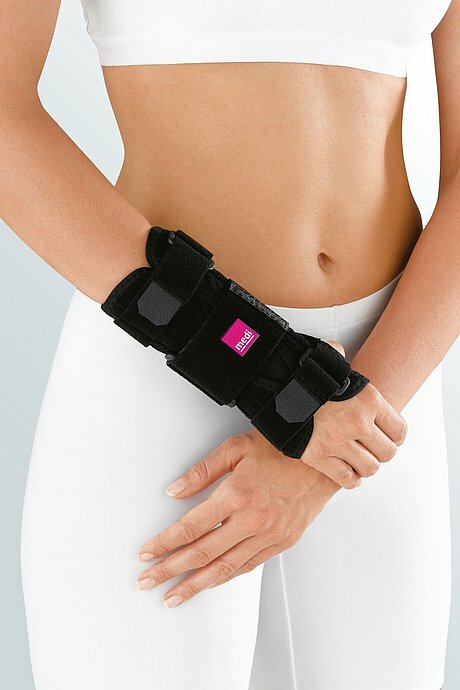 How to use our Manumed wrist braces. Date of issue: until December 2017. 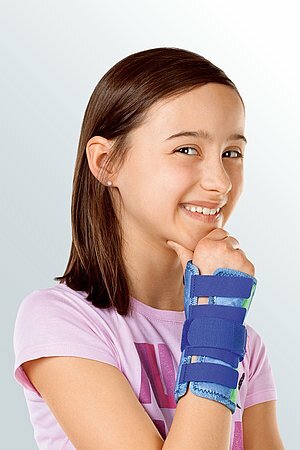 How to use our Manumed wrist supports. Date of issue: until April 2018. How to use our Manumed wrist supports. Date of issue: until January 2019. How to use our Manumed wrist supports. Date of issue: from January 2019.